The Lighthouse Brigade of Racine is a competitive marching band made up of students in grades 8-12 from all of the schools in the RUSD as well as the Southeastern Wisconsin area. The Brigade is entering its 39th year and will be continuing a tradition of excellence in performance and education. 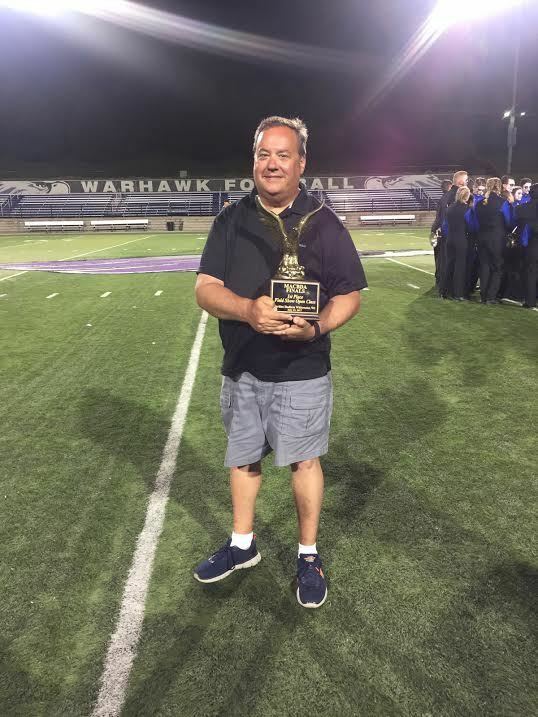 The Lighthouse Brigade competes in the Mid-America Competing Band Director's Association (MACBDA) circuit each summer and has won many awards for best visual performance; best percussion performance; best color guard performance and best musical execution performance. 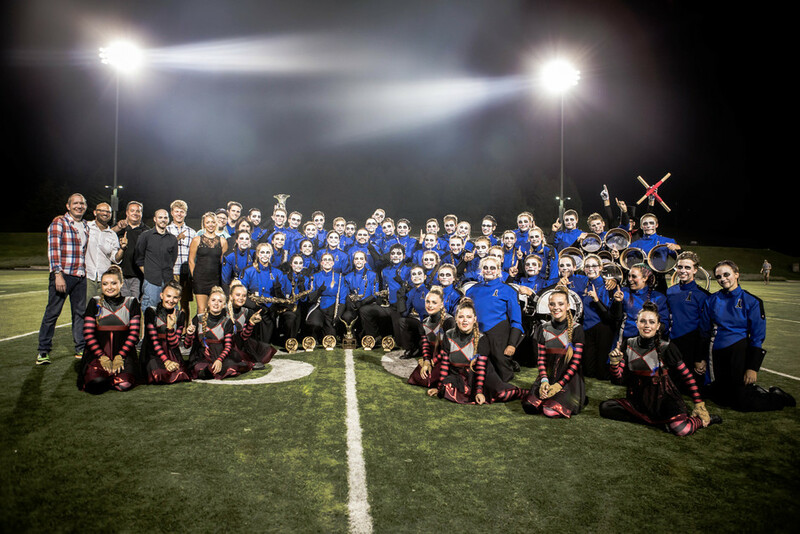 The Brigade has earned the title of "MACBDA Champion" in 2006 and most recently - 2017. During a recent tour to Calgary, Alberta, Canada, the Brigade was awarded the Founders Memorial Award which is only given to one group that displays the, "Best Sportsmanship, Best Musicality and Best Music Advocacy". Mr. Rukavina, who has worked with the Brigade programs since 1990, has been the Lighthouse Brigade director since 2000. Horn Line - This is the term we use for this section of Brigade which consists of flute; clarinet; alto and tenor saxophone, mellophone (french horn); baritone and contra (tuba). Flute, clarinet and saxophone players play their own instruments and all brass players play on specially designed Yamaha marching instruments supplied by Brigade. Front Ensemble - Also known as the "pit" this section sets up on the front sideline and performs on stationary percussion instruments such as marimba; vibraphone; xylophone; orchestra bells; chimes; concert bass drum; timpani and various other percussion instruments. The front ensemble is often made of up students who during the school year play flute and oboe or are in orchestra. Battery - This section is the marching percussion section and consists of snare drums; quint tenor drums and tuned bass drums. Members need to audition in order to make the cut for this section. The Brigade will have percussion camps once a month in the winter before the actual season begins. Color Guard - This section is for females only and involves lots of body movement and dance training as well as technique in flag handling. The color guard also uses "weapons" that include rifle and saber. The color guard section is by audition only and also has winter camps before the actual season begins. Many of our color guard members come to Brigade with either dance experience or cheerleading experience. We do not march with certain instruments for many reasons. Trombones, as an example, are actually a potential hazard with their slides. Many students learn new instruments during Brigade season and, in my opinion, this makes them better musicians because of it. My own daughter marched with the horn line for three years but spent her first two years of Brigade playing in the front ensemble. She loved it and learned a great deal! While at Horlick High School she was asked by her director (who knew of her Brigade pit experience) to play lead marimba in percussion ensemble that have ended up going to state competition! So, no matter what instrument you play - there is a place in the Lighthouse Brigade for you! Mr. Roo with the 2017 MACBDA Championship trophy!